ysabetwordsmith | Poem: "The Purpose of Power"
Poem: "The Purpose of Power"
"The Purpose of Power" won the 2017 Rose and Bay Award in the Poetry category. This poem is spillover from the July 5, 2016 Poetry Fishbowl. It was inspired by prompts from librarygeek and technoshaman. It also fills the "be here now" square in my 5-1-16 card for the Solo Celebration Bingo fest. This poem has been sponsored by Anthony & Shirley Barrette. It belongs to the Shiv thread of the Polychrome Heroics series, and comes after "Calming the Agitations." Warning: This poem contains some intense topics. Highlight to read the warnings, some of which are spoilers. It includes introversion, feeling drained and irritated, anxiety over the future, solution-caused problems, deep philosophical discussions which are needful but Shiv is in no way prepared for, confusion, reference to past injuries and almost dying, followed by past medical abuse, cape politics, fate and free will, self-blame, self-hate, discussion of zetetic terror weapons, past traumatic amputation, the difference between legality and morality, purpose, existential angst, and other challenges. On the whole, it's pretty positive, just overwhelming for Shiv. If these are sensitive issues for you, please consider your tastes and headspace before moving onward. even visiting the social room. commandeering one of the quiet rooms. sit quietly for a while?" Rosie asked. "People," Shiv said as they sat down. figured out I do better when I'm alone." hanging out with other people?" to ramp up the contact for that." Shiv put his face in his hands. "You've been in trouble before." that my control is what it used to be." supposed to make any kind of sense. "Shiv, what is your superpower for?" "No, that's what it does,"
Rosie said. "What is it for?" Rosie looked at the ceiling. "All right, we'll come back to that,"
Why do you have it?" to a regular hospital for a week." "That's how you got yours,"
something that Shiv wasn't putting out. does it exist? Why do you have it? Come on, Shiv, what is it for?" his words got under Shiv's skin. then he could push them away. "Keeping me safe," Shiv said slowly. wouldn't lock. The staff were ... awful." almost pulling them out of him. could figure out what was going on. stopped the blade, turned it aside." the hell out of there." of new skills," Rosie said. What will you do with them?" why Rosie kept harping on this. other jobs now," Rosie said. Shiv shook his head sharply. "I'm a supervillain," he said. "All right," said Rosie. "Why? Shiv's brain just about bent. "Think about it," Rosie said. "I dunno, fate maybe?" Shiv said. to be a pretty popular opinion. "No, people have choices," Rosie said. He opened one hand and then the other. "There are worse things to be,"
of the Greater Omaha Metropolitan Area. wasn't that. "So why are you a supervillain?" "Because I'm nobody's easy meat," Shiv said. and offered me a job. I was hungry so I took it." into supervillainy just to get by," he said. now that you have other options." enough what a fuckup I am --"
a number of unfortunate choices." Rosie, I'm just in it for myself, is all." "Now that I don't believe," Rosie said. wouldn't have risked your life to save Ragno." "I'm not a superhero," Shiv said uneasily. "That's true," Rosie said, looking thoughtful. "You did something heroic, though. Why? What's the point of a supervillain doing that?" "Ragno and me not dying," Shiv said. the corners until it became a disc. too much to worry about it running wild." like dropping things," Shiv said. everything that isn't nailed down." kept the edges sharp enough. he'd seen on a Christmas tree. "That's useful to know," Rosie said. to have powers, to be a supervillain?" The guy was like a dog with one bone. slipped his mind. "I'm nobody." "That was very beautiful, Shiv,"
like that play-putty, don't you?" sometimes or it gave him headaches. that I can practice more often." saving someone's life with it?" the ball in his pocket. "I just was there. A superhero would've done better." "You were there, and you chose to act,"
important. Do you know any superheroes?" have handled the chayne incident?" It was like ice water sloshing over him. wouldn't have had the guts for it. horrible, and he's too nice of a guy." "What about other people you know?" random acquaintances -- the field is open." "I know a few who might," Shiv said. "Most either wouldn't do it, or couldn't." "All the same reasons, or different ones?" he could've figured out a way, but not in time. That's the hell of it with chayne, there's no time. doesn't love pain. He would've hesitated." but neither did he want to talk about it. what drove you to do it?" Rosie asked. trying to feel his way through them. "The first time, I didn't," he admitted. "I just ... froze. We all did. It was ..."
faced with atrocities," Rose said gently. "Yeah, right," Shiv said, looking away. the situation exceeds their training,"
still blames himself for responding badly." go through that again. I couldn't. because that was something I could do." which the superheroes can't or won't do. so they won't be shocked by it and freeze. gives you a certain advantage." he'd never seen it in that light before. "You mean like ... keeping a lid on it,"
don't make it too high up the ladder." "If that's how you like to put it,"
other tools in the box for those times." "But I broke the rules," Shiv said softly. my superpower, it gets me in trouble." flicking a hand at the pocket full of metal. in front of people, especially guards or cops." Rosie's face fell. "I'm sorry to hear that,"
people who break the rules, too." Shiv scoffed at him. "Tell that to the judge." in his eye that made Shiv nervous again. "Slavery was legal. 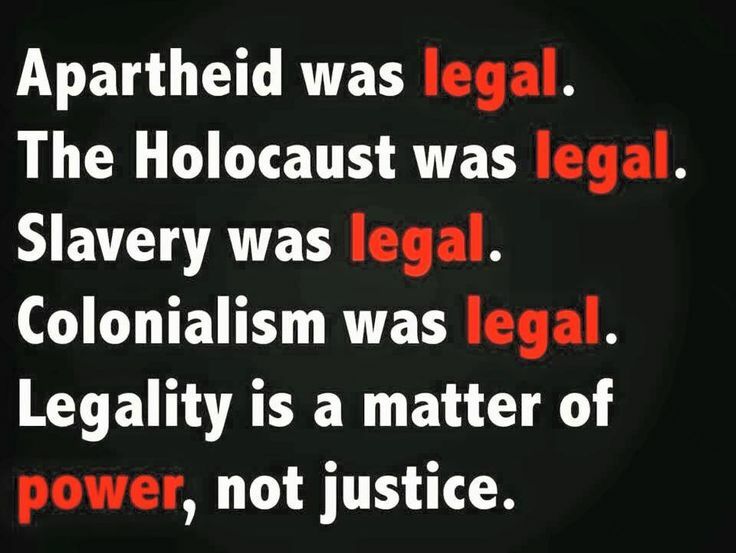 Colonialism was legal. places where murdering soups still is legal." about the bottom-ten countries. Everyone had. "What's that supposed to mean?" he said. to follow the rules," Shiv whined. "Make up your mind already!" who aren't so susceptible to peer pressure." let alone anything that felt as ... big as this. "My brain is full," he said abruptly. sent it dancing through the shapes. "Can we just ... stop talking for a while?" "Any time," Rosie said with a smile. like a top winding down after it was let go. For once, Shiv didn't find that creepy. Introversion and extroversion are two ends of a personality spectrum. Know the signs of being an introvert and how to be a healthy introvert. Shiv is just starting to learn these things about himself, and hasn't really figured out how to meet his own needs yet. Caring for introverts and extroverts requires different techniques. Here's an illustrated guide to introverts. There are many reasons why someone might feel drained by other people. Happiness requires finding a balance between socializing and solitude. Fidgets are small objects for manipulation, sold as therapy tools for children or office toys for adults. They have many benefits, including mental focus and hand health. People with superpowers often fidget with their ability. Shiv carries a piece of metal to play with, and has devised a variety of patterns to practice his control, such as the one shown here: hollow circle, hollow square, hollow diamond, solid diamond, solid square with sharp corners, solid square with rounded corners, solid circle, flat star, folded star, bent square, and sphere. Self-hate and self-blame often come from child abuse, which warps perception of the self. Shiv is just repeating what he's been told over and over again. Recovery requires survivors to remind themselves of positive things that they didn't learn growing up, and turn self-blame into self-compassion. When dealing with someone else's self-blame, you can interrupt negative self-talk and reframe it in more constructive ways. Quakers have a deep history of activism. You may as well not bother arguing with them, because once God has suggested that they address a particular problem, they will not quit and you will not talk them out of it. 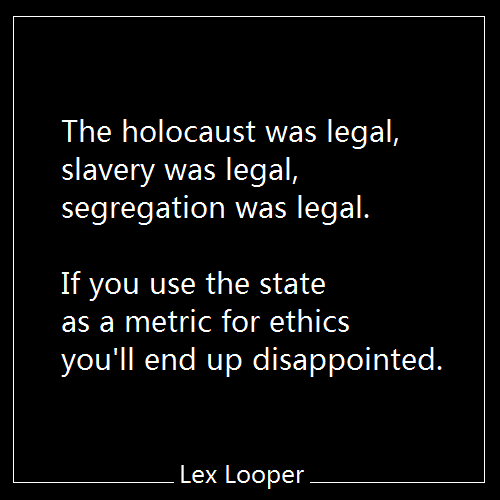 Peace activists have observed that many heinous things have been legal, and the government is not a good standard for morality. Ethics is a set of laudable beliefs and practices. Various theories of ethics have been proposed. Think about how to discover your personal ethics and live by them. Here is a lesson about developing a code of ethics. A theory of moral development describes a set of stages through which most people progress. Ambrose is talking about post-conventional concepts, which are way of Shiv's head because he barely grasps pre-conventional concepts. But don't blame Ambrose, it was God's idea to ask the poor kid what superpowers are for. I imagine God has the same hard time as other smart people when it comes to figuring out what other folks will understand. Not all supervillains are necessarily unethical. Examples such as the Noble Demon and Anti-Villain may have their own sense of honor. When organized, they may even have their own laws. 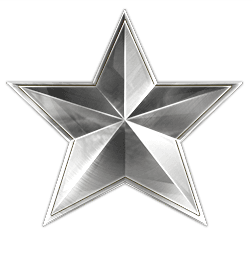 Sometimes they'll display valor under the least likely circumstances. It's not that they lack ethics; they just don't share the same set as the hero. Thinking too hard can deplete energy and cause headaches. Shiv is prone to both of these problems. When your brain is full, you should stop working and take a break. Shiv is slowly learning this part. Quaker worship centers around silence. It progresses from relaxation through letting go of concerns and expectant waiting to listening to God. If you're not used to the numinous, then suddenly having an open line like that can be very disconcerting, and even hair-raising. Shiv describes it as "creepy" because he is unaccustomed to numinous energy so it feels weird to him. But he has also figured out that Ambrose is good for shutting up unwanted thoughts. There are meditations and steps for practicing silence. "Please, thank your parents for me. The prompter copy is good for soothing the initial discomfort, but when it's posted, the extra links help for follow-up emotional bandage changes. :-D "
Done. I'm glad I could help. "One suggestion I have is to have a line in the introduction that this poem follows this, with Ambrose home." • "I'm listening," Rosie said, and there was something about him that seemed to cup the air, as if the silence was waiting for Shiv to pour words into it, almost pulling them out of him. > A rich, powerful image. I can *feel* it. • Quakers have a deep history of activism. You may as well not bother arguing with them, because once God has suggested that they address a particular problem, they will not quit and you will not talk them out of it. > The second sentence also holds of individuals and subgroups of many other religions; not only rabble-rousers and terrorists, but [insert plural noun here] such as the late unlamented Jack Chick. But I have deep respect for the Friends, for their consistent dedication to doing good peacefully and not evangelizing -- at least, not evangelizing the unwilling. I'm glad you found this so impressive. It waaaaaaas. And I may be able to words *why* eventually, but right now ... wowness. :D I'm always up for more feedback, but "wow" is awesome too. He is very huggable and cuddly. Indeed. Shiv actually wants to be useful; it gives people a reason to keep him around and feed him. But the idea of being valued is largely alien to him, let alone being a productive -- if pesky -- member of society. Ooooh. A Quaker who's not afraid of breaking rules. I *like* him. Which is to say, if you put Quakers in an ethical society, they will help you make it better; and if you put them in an unethical society, they will do exactly the same thing whether you like it or not. Historic example: the Abolition movement. Personal example: silent vigil for peace during the first Gulf War. It was amusing watching the campus cops try to argue with people who wouldn't argue back, weren't disturbing the peace or disrupting traffic, and would not go away. After a few weeks, the cops gave up. I think it made them uncomfortable trying to break up a peace demonstration when God was standing right there in the middle of the circle. They really didn't have a script for that. Interestingly, when I looked at Terramagne, I discovered that their Quakers had rather better luck with some applications than ours did, so they're a bit larger and more active group there. Ours tried to launch a progressive penal system way too early, botched horribly, and bailed out. Theirs went to work cleaning up the mess and tried new solutions. So T-America has a better penal system, which is much more suited to reformation, and there's a steady trickle of Friends volunteering or working in it. :D Which is how they came to have one at the forefront of correctional theory, trying to figure out what to do with supervillains. Periodically I look into Quaker culture, beliefs, and practices for inspiration to reflect that. Yay! My poetry has a way of going where it's needed. He really does. Of course, he has ulterior resources. When someone is listening to God, he has access to much better ideas than average. :D Hence why it's unwise to argue with Quakers. Out of all the groups who claim to have messages from God, they're the only folks who seem to make a religion out of listening to Him instead of preaching at each other. That makes all the difference in the world. Yeah, that's a very delicate bit of work. It is good to re-read this, and to discover its companion. Heh. One usually thinks of 1 Jan as a day of looking forward, but whose bl---y calendar is it anyway? NOT OURS! It's Winter, and time to reflect... it's a good day. I'm glad you enjoyed this. Yes, it's a good topic for winter introspection.